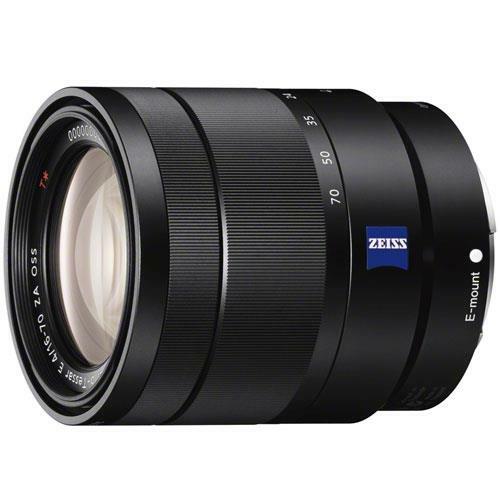 This Sony 16-70mm lightweight mid-range zoom combines renowned ZEISS optical performance with a constant F4 maximum aperture for consistently fine performance throughout the zoom range. Linear motor drive achieves smooth, quiet operation that, coupled with responsive AF, makes this lens ideal for movies and stills in a wide range of shooting situations. Optical SteadyShot image stabilization is built in. Here’s class-leading ZEISS optics with the legendary T* coating in a mid-range zoom that is compact and convenient for a wide range of subjects. The 16mm to 70mm zoom range will cover most shooting situations, making this lens an ideal choice for day-to-day photography or movie making.